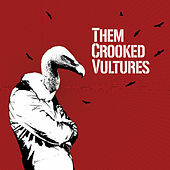 Forget six degrees of Kevin Bacon, try three degrees of Them Crooked Vultures and you'll get to just about anyone who's ever picked up an instrument. The L.A.-based band is made up of vocalist/guitarist Josh Homme, drummer Dave Grohl and bassist/keyboardist John Paul Jones, plus live guitarist Alain Johannes. They've all worked together on various projects, so the assemblage was inevitable. Between the three core members, there have been roughly a gazillion collaborations, awards, honors, tributes and record sales. Palm Desert multi-instrumentalist and producer Homme is the king of desert/stoner rock, helping pioneer the genre as a founding member of Kyuss, Queens of the Stone Age and Eagles of Death Metal. 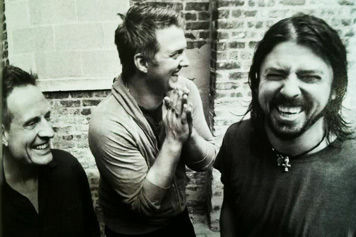 Grohl's resume is even lengthier, but his most acclaimed occupations include Nirvana drummer and Foo Fighters frontman. Jones is best known as bassist/multi-instrumentalist for Led Zeppelin. The trio released its self-titled debut in 2009. Each member sticks to his respective role, making the overall sound reflective of their most celebrated endeavors: Zeppelin's blues and boogie get seduced by QotSA's narcotic lure, wanton sneer and sludgy strut.